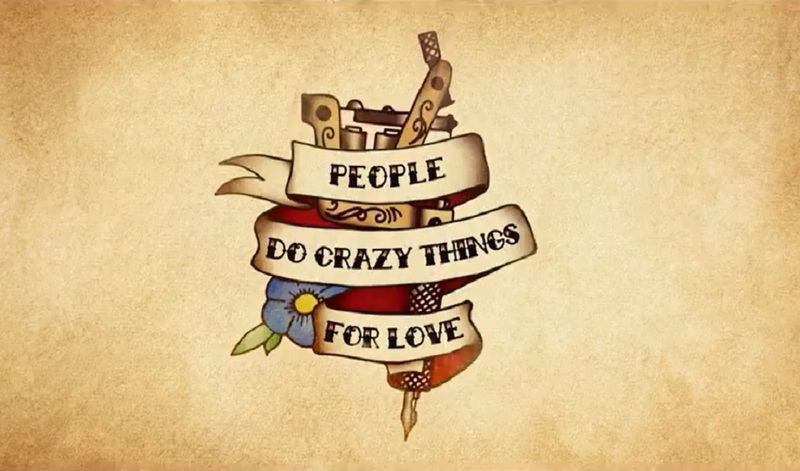 Love can make people do crazy things. Most of us would agree that infatuation can sometimes cloud our better judgement, especially during the exciting early days of a new relationship. It’s little wonder, then, that so many people make the decision to show their long-term commitment with a tattoo of their partner’s name. But the tricky part about tattoos is that, unlike relationships, they are permanent. And when love turns sour, a tattoo of an ex-boyfriend or ex-girlfriend’s name can serve as a very painful reminder of what has been lost. As such, cover-ups of partners’ names is a very frequent request made to tattoo artists worldwide. Brazilian pet retailer Petz took this common problem as the foundation for an experiential marketing campaign with an important message at its heart. Petz rounded up visitors at a Sao Paulo tattoo studio, all of whom were looking to have their ex’s names etched over for good with new artwork, wiping the past in the process. But Petz offered a surprising solution. Instead of turning away from love, why not embrace love in the process by taking back the name that was so painful? In memorable fashion, Petz gave these individuals the chance to ‘Love Again’. The retailer scoured rescue shelters in Brazil for dogs bearing the same names of these ex-partners – from Renan to Mario to Diogo. They then surprised those in the studio by offering them the chance to keep their tattoos and instead take home a dog to adopt and love. It led to emotional scenes and responses from those that took part, all captured in a moving video, sharing the message that pets love forever. It’s a campaign with heart, and one that uses an unexpected hook to link the retailer with a very important issue. But it’s not without its flaws either – the campaign does also imply that adopting a pet can serve as a quick fix for a tattoo that you regret, and it doesn’t really address the huge levels of work and responsibility that caring for a pet requires. That’s an important omission, as there’s an argument that it’s this lack of awareness that causes many of these rescue animals to end up in shelters in the first place. But that aside, it’s another striking and highly relatable example of man’s best friends being used as the centrepiece of a viral experiential video. Pet food brand Pedigree’s powerful ‘pUp syndrome’ campaign attracted wide international attention, and deservedly so, for tackling a highly emotive issue and controversial issue in Russia head-on.